Create an environment of transparency, hope, respect, integrity and fun. This belief led our founder Tim to create several highly successful national and local businesses in Canada. 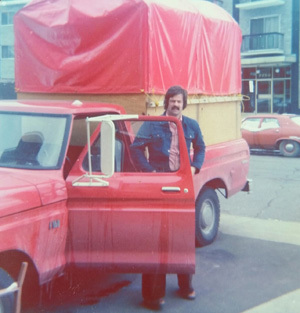 First in 1971, Tim borrowed $2000 to purchase a small moving truck and a quarter century later he presides over several industry leading firms including his most recent venture Moore Suites. In today’s world, business consultants make millions of dollars trying to convince business leaders and entrepreneurs that they have to embrace the latest trend if they want their businesses to succeed. However you won’t hear Tim Moore spouting buzzwords like paradigm shift, ideation, growth hacking, burning platform, tiger teams or a myriad of other made up words and phrases intended to convince people that your company is on the right track. How then has Tim been so successful growing a number of national businesses for more than 40 years if he has not jumped on these trendy bandwagons? The answer to that question begins with Tim’s background including his stint as a teacher in northern Ontario in the early 1970’s. Here he learned to connect with young people and engage them in learning and trying to do their best. Attributes that he carried forward into the business world. Instead of jargon Tim talks about character, attitude, work ethic, respect, dignity, accountability, morality, quality service and the importance of family and friends. 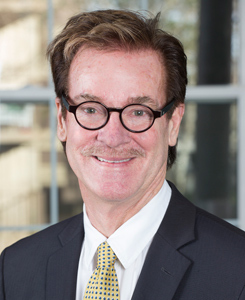 It may seem naïve or even trite to some but throughout his life and career Tim has applied the old maxim known as the “golden rule” to his dealings with family, friends, employees and customers. This approach has garnered Tim much public acclaim from the earliest years on forward with in-depth profiles in several issues of Profit magazine. In 2009, Tim was lauded in their special feature “Ask the Legends” which explored his entrepreneurial career in a variety of successful businesses. Similarly, Atlantic Business magazine recognized Tim as one of the top 50 CEO’s in Atlantic Canada at least 5 times since 2005, elevating him to their “Hall of Fame” in 2015. Tim’s first foray into entrepreneurship came when he bought an old pickup truck to do moving services during his summer break from teaching. He soon realized that he enjoyed being his own boss and really liked the business. So much so that in 1977 he bought a small moving company with an office in Barrie and one in Toronto. The company was floundering but Tim saw potential for growth. The first thing he did was add “A” to the company name to bring it to the forefront in the yellow pages and so, AMJ Campbell Van Lines was born. Tim’s approach to the moving business made him a legend. He actively recruited the best sales and operational people in the industry. He forged exclusive relationships with large corporations so he had a year-round business. He offered franchise opportunities. He diversified into the office moving and international markets. He recognized the value of affiliation marketing with attractive incentives for customers. He created a culture where everyone strived to be “better than their best” and yet had had fun. By the time Tim stepped away from AMJ in 1999 the company had 40 locations across Canada and was doing over $125 million dollars in annual sales. With the moving business not entirely out of his blood, Tim helped facilitate the founding of a second national moving company franchise in 2005. Premiere Van Lines was owned by a number of former AMJ franchisees. It has since grown to be the second largest multi-branch moving company in Canada. As a “bred in the bone” entrepreneur, Tim wasn’t able to sit back and relax after leaving AMJ in 1999. A life-long believer and investor in real estate, Tim stumbled into the world of temporary accommodation as a new business. He started small, buying a few condos in the Halifax area and renting them out to business executives who wanted an alternative to standard hotel living for the duration of their stay. By the time he owned 27 condos he realized that he had another thriving business opportunity on his hands. The new company was named Premiere Executive Suites to denote the exceptional quality of the accommodations and the outstanding customer service. Duplicating the practices that made his former business so successful, Tim hired the most talented people to run the company and to be franchisees. When Tim sold out in 2010, Premiere Executive Suites was up to over 1000 condos in cities all across the country. Tim’s latest venture, Moore Executive Suites marries his love for real estate investment with setting the stage for the next generation of super entrepreneurs. With an enthusiastic team on side, and a determination to create a comfortable and high quality service for each and every customer, Moore Executive Suites is sure to have a bright future.